This article is about the United States Championship originally created in 1975 and currently defended in WWE. For the United States Championship that was in the World Wide Wrestling Federation from 1963 until 1976, see WWWF United States Heavyweight Championship. The WWE United States Championship is a professional wrestling championship promoted by the American professional wrestling promotion WWE on the Raw brand. It is one of two secondary titles for WWE's main roster, along with the WWE Intercontinental Championship, which is on the SmackDown brand. The current champion is Samoa Joe, who is in his first reign. The championship was established on January 1, 1975, as the version of the NWA United States Heavyweight Championship that was defended in Jim Crockett Promotions, and later assumed by World Championship Wrestling (WCW), which eventually seceded from the National Wrestling Alliance (NWA). 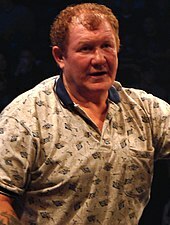 Harley Race was the inaugural champion. After WCW was purchased by the then-World Wrestling Federation (WWF) in 2001, the then-WCW United States Championship was defended in the WWF until it was unified with the Intercontinental Championship at that year's Survivor Series. After the 2002 brand extension and the promotion being renamed to WWE, the championship was reactivated as the WWE United States Championship in July 2003 as a secondary title of the SmackDown brand. The title has switched between brands over the years as a result of the WWE draft; the 2019 Superstar Shake-up moved the title to Raw. Of the WWE's currently active championships, the United States Championship is the only one that was not originated in the promotion. 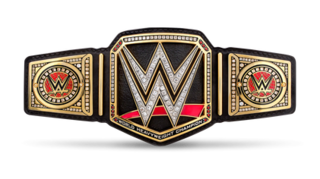 It is the second oldest active title in the company, behind the WWE Championship (1963), but the third longest-tenured championship, behind the WWE and Intercontinental Championships (1971), as the WWE has only owned the U.S. title since 2001. The United States Championship began as a regional championship called the NWA United States Heavyweight Championship, one of several versions of the title allowed in different territories under the National Wrestling Alliance (NWA) bylaws. It was created by and defended in Mid-Atlantic Championship Wrestling (MACW) run by Jim Crockett Jr. Introduced on January 1, 1975, Harley Race became the inaugural champion. The title quickly replaced the NWA Mid-Atlantic Heavyweight Championship as the top singles title in the promotion. While the NWA recognized only one World Heavyweight Champion, there was no single undisputed United States Champion as a number of NWA regional promotions recognized their own version of the title and champion. That changed, however, in January 1981; the NWA territory based in San Francisco folded, which was the last remaining promotion outside the Mid-Atlantic territory that recognized its own United States Champion, leaving the Mid-Atlantic version as the only remaining United States Championship. The title remained the primary championship within the Mid-Atlantic territory until 1986 when Crockett gained control of the NWA World Heavyweight Championship. The United States title then became the secondary championship of the promotion. After Ted Turner bought the company and renamed it World Championship Wrestling (WCW) in November 1988, the title continued to be used and recognized as secondary to the World Championship. WCW began to pull itself away from the NWA, demonstrated by the company changing the name of the title to the WCW United States Heavyweight Championship in January 1991. On the April 6, 1991, episode of World Championship Wrestling, Nikita Koloff destroyed the classic 1980s United States Heavyweight Championship belt during a post-match brawl with Lex Luger, who was in his fourth reign as champion. Koloff, who claimed to be the true champion, knocked Luger unconscious by striking him with the title belt and then repeatedly smashed the championship belt into a ringpost. Luger would appear without a physical championship belt, and later became the first to wear a newly designed title, which was used up through WCW's closing in March 2001, after being purchased by rival promotion, the then-World Wrestling Federation (WWF). This version of the United States Heavyweight Championship would also be used during the WWF's Invasion storyline. As part of the WWF's purchase of WCW, the United States Heavyweight Championship became WWF property and during the "invasion" period, it was defended and referred to as the WCW United States Championship on WWF shows. At that year's Survivor Series, the title was unified with the then-WWF Intercontinental Championship when United States Champion Edge defeated Intercontinental Champion Test, becoming the new Intercontinental Champion. The United States Championship was subsequently deactivated. In July 2003, a year after the first brand extension went into effect in the promotion now renamed World Wrestling Entertainment (WWE), the title was reactivated as the WWE United States Championship by then-SmackDown! General Manager Stephanie McMahon, and was commissioned to be a secondary championship for the SmackDown! brand, making the championship the only from WCW to be reactivated as a WWE title and the only in WWE to not originate in their promotion (with a brief exception of the ECW Championship when it was reactivated and used in the WWE from 2006–2010). Eddie Guerrero became the first champion after its reactivation by winning a tournament at that year's Vengeance, defeating Chris Benoit in the final match. This was done shortly after the Intercontinental Championship was recommissioned by the Raw brand, making the title its equal counterpart. The first brand extension ended on August 29, 2011, allowing the United States Championship, as well as all other titles, to be defended on both Raw and SmackDown. In August 2014, the United States Championship belt, along with all other pre-existing championship belts in WWE at the time, received a minor update, replacing the long-standing scratch logo with WWE's new logo originally used for the WWE Network. In 2015, WWE introduced an updated version of its Grand Slam Championship, and the United States Championship became officially recognized as a component of the re-established honor. In August at that year's SummerSlam, United States Champion John Cena faced WWE World Heavyweight Champion Seth Rollins in a title-for-title match, which Rollins ultimately won to become the first wrestler to hold the WWE World Heavyweight Championship and United States Championship simultaneously. Rollins held both titles until Cena defeated Rollins in his rematch for the title at Night of Champions the following month. In July 2016, WWE reintroduced the brand extension; during the draft, United States Champion Rusev was drafted to the Raw brand. Days later, he successfully defended the title against SmackDown draftee Zack Ryder at Battleground, keeping the title exclusive to Raw. On April 11, 2017, United States Champion Kevin Owens, along with the title, moved to SmackDown as a result of that year's Superstar Shake-up. Owens was already scheduled to defend the title against Chris Jericho at the Raw-exclusive pay-per-view Payback on April 30. Then-SmackDown General Manager Daniel Bryan declared that regardless of who won at Payback, the United States Championship would remain on SmackDown; Jericho defeated Owens for the title at Payback and he transferred to SmackDown. The title briefly moved to Raw on April 16, 2018 during that year's Superstar Shake-up when then-champion Jinder Mahal was traded, only to lose the title to Jeff Hardy, who was in turn traded to SmackDown the following night. Following the revival of the United States Championship in 2003, the title was designated to SmackDown. The brand extension was discontinued on August 29, 2011, but it was revived on July 19, 2016. The following list indicates the transitions of the United States Championship between the Raw, SmackDown, and ECW brands. July 27, 2003 SmackDown The United States Championship was revived to be exclusive to SmackDown!. June 23, 2008 ECW Matt Hardy was drafted to ECW, taking the championship to that brand. July 20, 2008 SmackDown The United States Championship was returned to SmackDown following Shelton Benjamin's title win. April 13, 2009 Raw United States Champion Montel Vontavious Porter was drafted to Raw during the 2009 WWE draft. April 26, 2011 SmackDown Following the 2011 WWE supplemental draft, United States Champion Sheamus was drafted to SmackDown. May 1, 2011 Raw The United States Championship was returned to Raw following Kofi Kingston's title win. The United States Champion could appear on both Raw and SmackDown. July 19, 2016 Raw Reintroduction of the brand extension. United States Champion Rusev was drafted to Raw in the 2016 WWE draft. April 11, 2017 SmackDown Following the 2017 WWE Superstar Shake-up, United States Champion Kevin Owens moved to SmackDown. April 16, 2018 Raw Following the 2018 WWE Superstar Shake-up, United States Champion Jinder Mahal moved to Raw. April 17, 2018 SmackDown A day after defeating Mahal for the United States Championship, Jeff Hardy moved to SmackDown. April 22, 2019 Raw Following the 2019 WWE Superstar Shake-up, United States Champion Samoa Joe moved to Raw. The inaugural champion was Harley Race. There have been 93 different champions, with Ric Flair having the most reigns at six. The longest-reigning champion was Lex Luger who held the title for 523 days from May 22, 1989, to October 27, 1990. The shortest-reigning champion was "Stunning" Steve Austin who held the title for approximately five minutes. Dean Ambrose is the longest-reigning champion under the WWE banner at 351 days from May 19, 2013, to May 5, 2014. Booker T and Seth Rollins are the only two men to have held both the United States Championship and a world championship simultaneously; in Booker T's case, the world title was the WCW World Heavyweight Championship, while Rollins held the WWE World Heavyweight Championship. (Both Lex Luger and Goldberg were the United States Champion when they won their first world championship, but unlike Booker T and Rollins, they vacated the United States Championship after winning their world championships.) Terry Funk is the oldest champion in the title's history, winning the title at the age of 56 on September 22, 2000, while David Flair is the youngest at the age of 20 on July 5, 1999. Between NWA/WCW and WWE, the title has been vacated twenty-one times. Samoa Joe is the current champion in his first reign. He won the title by defeating Andrade, Rey Mysterio and previous champion R-Truth in a Fatal Four-Way match on March 5, 2019 in Wilkes-Barre, Pennsylvania during the SmackDown Live broadcast. ^ a b "WWE United States Championship Title History". WWE. Retrieved 2009-01-02. Richard Henry Blood Sr., better known by his ring name Ricky "The Dragon" Steamboat, is an American retired professional wrestler. He is best known for his work with the American Wrestling Association (AWA), Jim Crockett Promotions (JCP), World Championship Wrestling (WCW), and the World Wrestling Federation (WWF). The WWE Intercontinental Championship is a professional wrestling championship created and promoted by the American professional wrestling promotion WWE on the SmackDown brand. It is one of two secondary championships for WWE's main roster, along with the WWE United States Championship, which is on the Raw brand. The current champion is Finn Bálor, who is in his second reign. 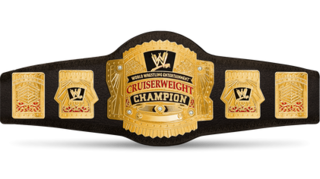 The WWE Cruiserweight Championship was a professional wrestling championship originally used in World Championship Wrestling (WCW) and later, World Wrestling Federation/Entertainment (WWF/WWE). It was challenged by cruiserweights at a maximum weight of 225 lbs. Following the acquisition of WCW by the then-WWF in 2001, it became a WWF championship and replaced the WWF Light Heavyweight Championship. During the first WWE brand extension, it was the only title to be exclusive to the SmackDown! brand during its entire tenure. The World Tag Team Championship was the first original professional wrestling world tag team championship in the World Wrestling Entertainment (WWE) promotion, and the promotion's third tag team championship overall. Originally established by the then-World Wide Wrestling Federation (WWWF) on June 3, 1971, it served as the only title for tag teams in the promotion until the then-World Wrestling Federation (WWF) bought World Championship Wrestling (WCW) in March 2001, which added their tag team championship. Both titles were unified in November 2001, retiring WCW's championship and continuing WWF's. 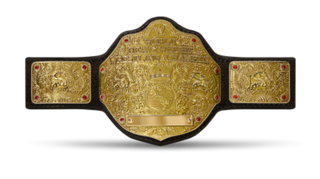 The Big Gold Belt is a historic professional wrestling championship belt that has represented multiple world championships throughout its history. WWE has maintained several women's professional wrestling championships since acquiring The Fabulous Moolah's NWA World Women's Championship in 1984. Whenever brand division has been implemented, separate women's titles have been created or allocated for each brand.